Spring '19 Submissions Now Open! 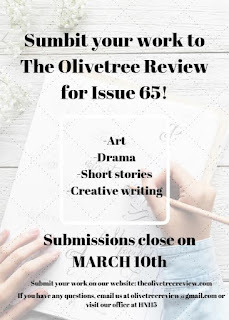 Submit for a chance to be published in our 65th Issue! Submissions end on March 10th. 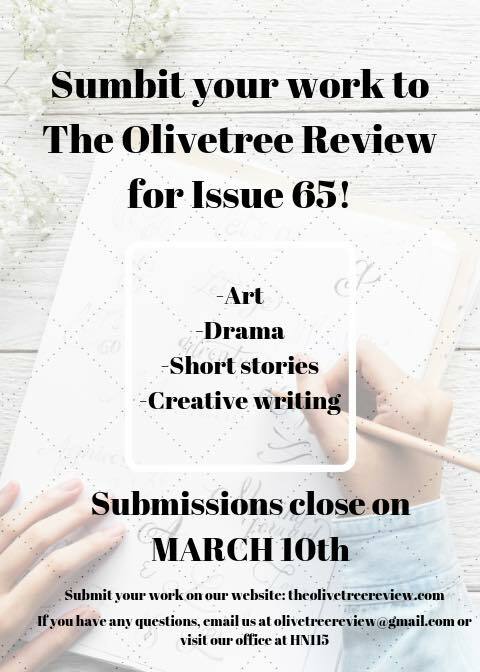 The Olivetree Review, est. 1983, is a literary and arts magazine produced by the Undergraduate students of Hunter College.